A classic car, surfer van, bus or horse-drawn carriage will do, too. Arriving in a limo for prom has pretty much become par for the course. Let's face it—almost everyone takes a limo to prom. There's nothing unique about it. And sure, piling in a limo with your friends could be fun, but there are definitely alternative ways to get to prom. 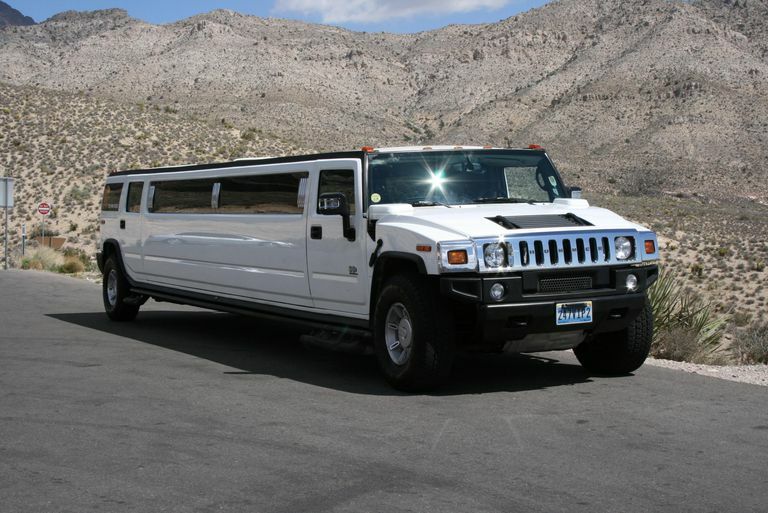 The Stretch Hummer. These have become more and more popular over the past few years, and why not? They're like a limo on steroids. Just make sure you don't break a heel when you're jumping out of it. A Luxury Car. Always wanted to drive a Porsche, Astin Martin or a Bentley? For one night, a tricked out ride could be yours. What better night to splurge on your dream car than prom? Look for luxury car rentals in your area, then indulge yourself. A Straight-Up Bus. Riding the yellow bus to school may have fallen out of fashion the second you got your license. But what if you commissioned a driver to take you and 30 of your friends on an out-of-use school bus, and you decorated it on the inside and out? Just imagine the fun you could have with window paint and streamers. You would definitely be the talk of the dance. A Horse Drawn Carriage. If you want to get all romantic with your date and you don't want any of your friends' drama involved, opt for a classy horse-drawn carriage. Just make sure you bring some extra perfume and cologne with you, just in case Mr. or Mrs. Horse gets a little stinky on the ride over. Oh, and be sure to plan this a few months in advance, as horse drawn carriages probably aren't as easy to find as limos. A Surfer Van. These should be easy to find if you live out west, particularly in California. Have an older friend or parent be the driver, so you and your date can party in the back. With all the room, you'll have no trouble stashing your after prom clothes, either. Don't forget to decorate the roof with a string of lights for a big entrance. A Retro Car. An old-timey vehicle can really add some class to your prom. Ask your parent's friends and neighbors if they know anyone who keeps a classic stored in their garage. You may have to do a little sweet talking (and let them drive it) to borrow it. But in the end, it'll be worth it. The Party Bus. Lights, leather couches, a mini dance floor... party buses have it all. If your goal is to start the party early and keep it going to the prom after party, get a group of your friends together and go all out. Just don't blow all your energy before you get to the actual dance! A Pick-Up Truck. If you're not into having a fancy prom, if you want to go a little country, or if you just want to have a nice open-air ride to prom, consider riding in the back of a pick up truck. Just make sure the bed of the truck is free of any dirt before you climb in. Or, better yet, put down a comfy blanket to protect your dress. You and your date can always use it to cuddle with later on. Exactly When Should I Ask Someone to Prom?